A mid-week work trip from Raleigh, NC to Bristol, VA had me driving through my old stomping grounds in Winston-Salem, which seemed like a perfect time to stop by Little Richard’s BBQ – Winston-Salem’s most famous barbecue restaurant and a stop on the NC Historic BBQ trail. 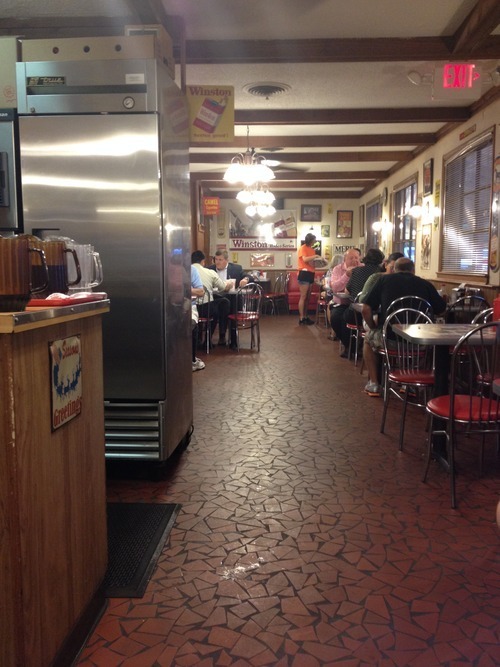 I hadn’t eaten at Little Richard’s all that often – it’s not terribly convenient to Wake Forest’s campus – and honestly, growing up so close to Lexington, I spent many years of my life taking great barbecue for granted. However, I was excited to go because, if memory served me well, I was in for a treat. Little Richard’s is your classic old-school Lexington style barbecue joint. You walk in, seat yourself, and a waitress comes to see you immediately. There are menus on the table, but if you’re like me, you don’t need one. 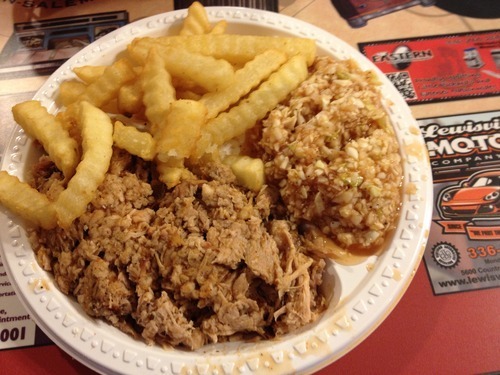 The order is easy – chopped barbecue plate with slaw, fries, and hush puppies. The food is brought out nearly immediately, and it’s time to dig in. 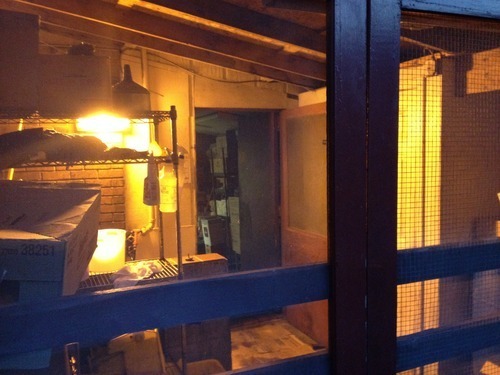 The pork is good, but I do think it could use a bit more smoke on it. It’s perfectly tender with the right amount of dip applied, but the flavor doesn’t quite stack up to some of the top joints. It’s still quite good and I certainly wasn’t disappointed, but it simply does not compare favorably to most of the places in Lexington. The sides, however, are a different story. For my money, the slaw and hush puppies were perfect. The slaw had the perfect amount of tang and was served at the right temperate – refrigerator cold to contrast the hot chopped pork. 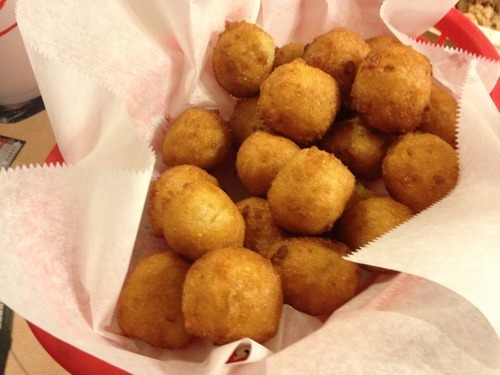 The hush puppies are shaped as small round balls and have just the right amount of sweetness. The crinkle fries are pretty standard and are a bit of an afterthought of the meal. 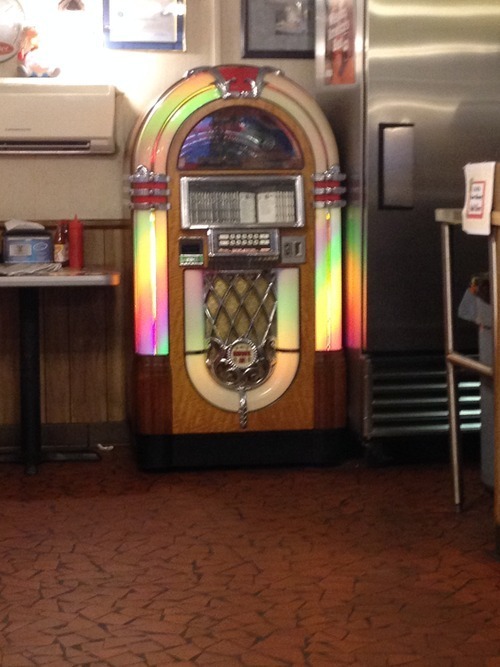 One thing I must mention is that Little Richard’s is cash only, which can be slightly inconvenient. However, this shouldn’t stop people from going. 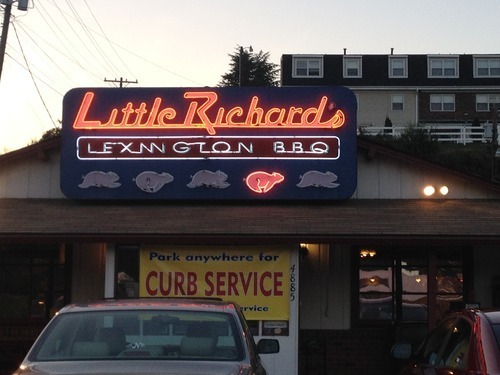 If you’re in Winston-Salem and looking for barbecue, Little Richard’s is the place to go. 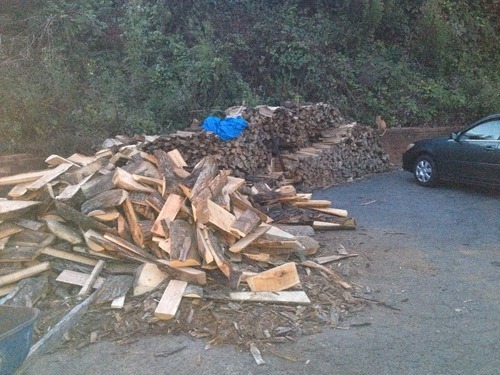 Pingback: Little Richard’s Lexington BBQ, Winston-Salem NC – Marie, Let's Eat!